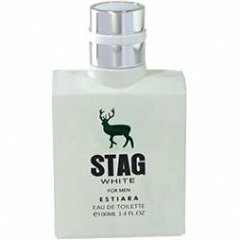 Stag White is a perfume by Estiara for men. The release year is unknown. The scent is synthetic-green. It is being marketed by Sterling Perfumes. How silver is your mountain water? Quick review of Estiara White Stag. It opens really fresh, although quite synthetic, with main notes of orange and bergamot. It's a nice strong opening. The evolution is quite nice and the fragrance maintains its (not big) strength for 1 hour or so. The drydown is faint and with a very poor longevity. If you want to use it for a full day you need to respray 2/3 times depending on your skin chemistry. You get a better performance if you spray your clothes. My 100 ml Estiara White Stag costed me 10 Euros in a combo with a 200 ml body spray. After a dozen sprays it found its place in my teen son drawer. It's just uninteresting for me due to its very poor performance.